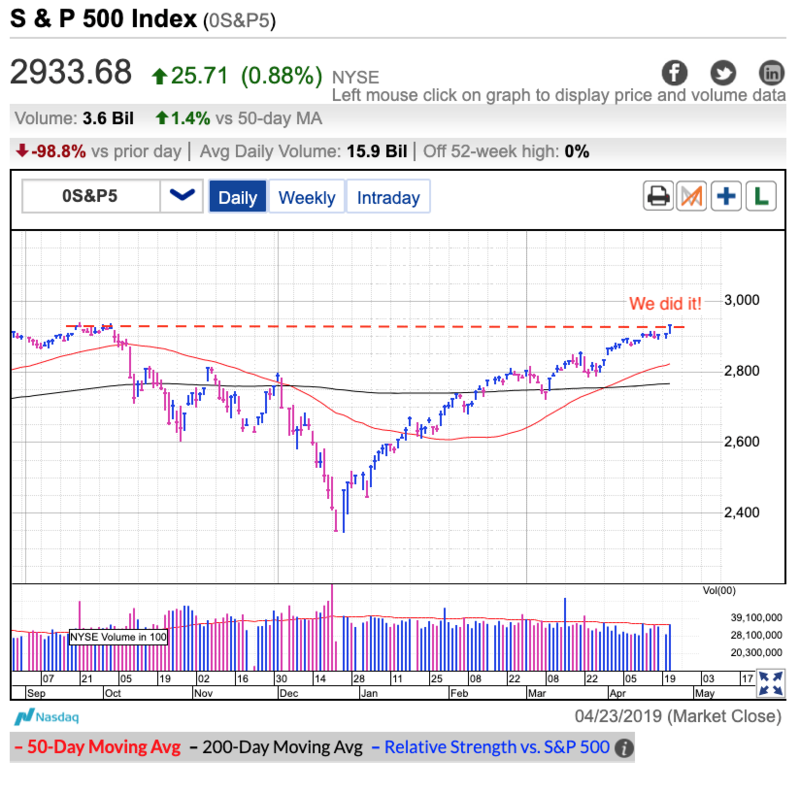 The S&P 500 surged to the highest levels in history on Tuesday. This completed the final chapter in 2018’s sharp, but brief correction and it is officially in the history books. The upside is we can start talking about something else……starting tomorrow. 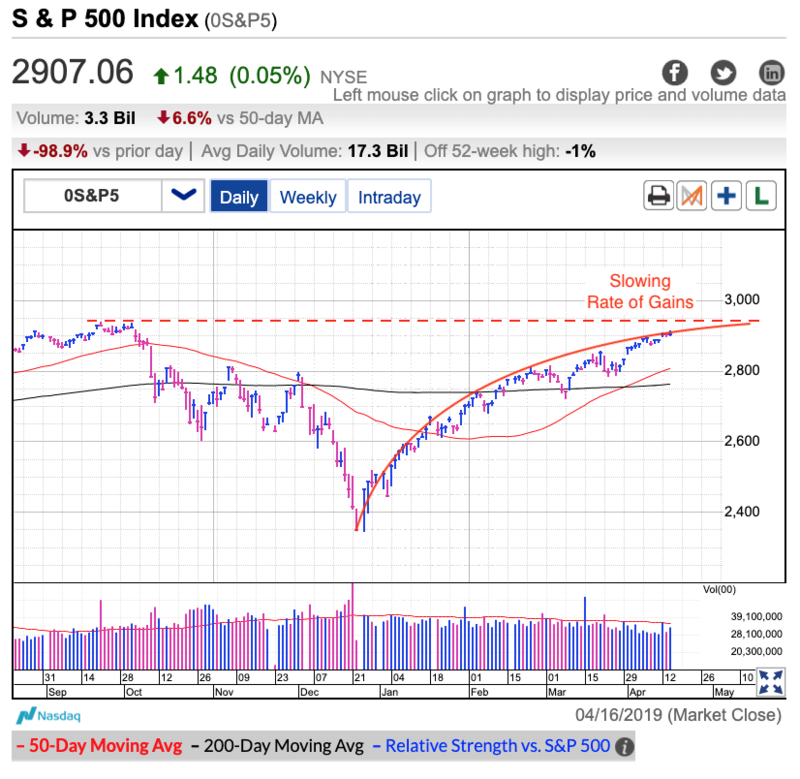 As is often the case, the market is attracted to levels the crowd is fixated on. This occurs on both the low and high side. Obvious support levels get breached while obvious resistance levels are broken through. That’s why it is no surprise we got here. But the lingering question remains, what happens next? Recent strength came from corporate earnings being less bad than feared. As often is the case, reality ends up being better than the naysayers predict. And while there is no end in sight for Trump’s trade wars, these headlines are ancient news. If they haven’t affected us yet, they are not going to start anytime soon. Over a month ago I wrote the following after the market crashed through 2,800 support. Conventional wisdom tells us complacent markets are vulnerable to collapse. What it fails to mention is how long complacency lasts before the collapse. And as we are finding out, complacency can last a long, long time. The thing we have to remember about complacent traders is they are not afraid of anything. The obvious problem is if complacent traders don’t sell spooky headlines, where does the supply come from that fuels the big dips? As this market is proving, that lack of supply nips every dip in the bud. This year’s biggest pullbacks barely lasted more than a few days. This bull market will die like all the others that came before it. I have no idea when that will happen, but it is acting well enough at the moment to continue giving it the benefit of doubt. Nothing has changed since then. Stick with what has been working and that is buy-and-hold. That said, keep a little cash available for the next trading opportunity. We cannot buy a dip if we don’t have any money.